The 1,500-km Surat-Paradeep natural gas pipeline to be laid by GAIL (India) Ltd at a cost of Rs 10,300 crore will cover a stretch of 460 km in Odisha passing through nine districts of the state including the economically backward districts of Bolangir, Sonepur and Nuapada. The other districts to be covered by the pipeline include Bargarh, Sambalpur, Angul, Dhenkanal, Jajpur, Kendrapara and Jagatsinghpur. 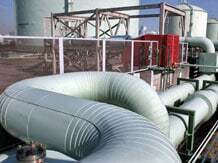 It would supply natural gas for industrial, commercial and domestic applications. Earlier, the state government had urged GAIL to make some changes in the pipeline's alignment so that it passes through the backward KBK (Kalahandi-Bolangir-Koraput) region. A joint venture agreement was to be signed between the state government and the natural gas major soon. GAIL has already got the approval of gas regulator Petroleum & Natural Gas Regulatory Board (PGNRB) for the Surat-Paradip pipeline. It had also evinced interest for setting up city gas distribution (CGD) network in Odisha. Nine urban centres- Bhubaneswar, Khurda, Balasore, Kamakhyanagar, Rourkela, Anandpur, Jajpur, Bhadrak and Baripada have been identified for building CGD network in the state. PNGRB which had earlier given a detailed presentation on potential for development of CGD infrastructure in Odisha had urged the state government to map geographical areas for developing such infrastructure. It had also called upon the state government to mandate use of compressed natural gas (CNG) in all commercial vehicles after setting up of CNG stations. The regulator has asked the state government to waive sales tax on CNG. GAIL is also interested to build an LNG (liquefied natural gas) terminal in the state at an investment of Rs 4,500 crore. The company has identified the ports of Paradip, Dhamra and Gopalpur as potential locations for establishment of the terminal.